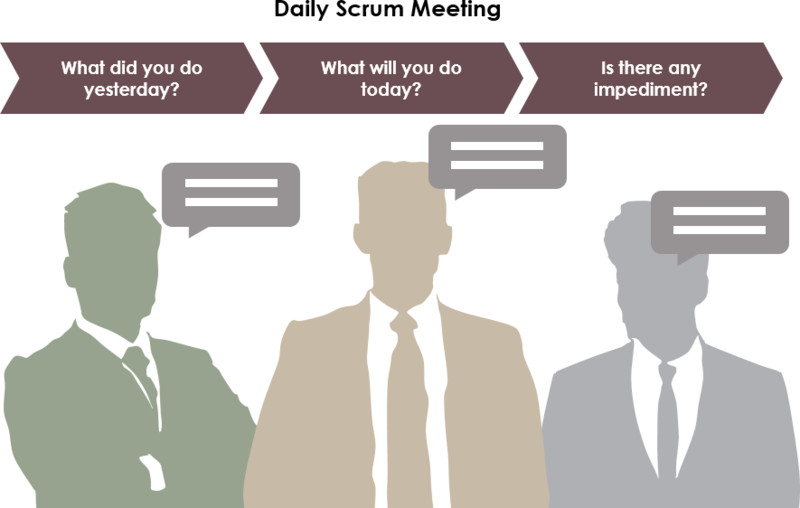 Current: What are the 3 Important Questions in Daily Scrum? 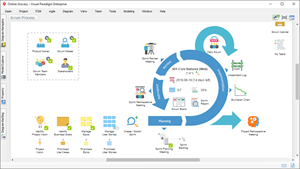 This is the opportunity for the entire team to succinctly sync up on everyone’s individual progress (Burn down chart) against the iterated Sprint, feature, or story point estimations. In other words, the stand-up is a status update meeting, time-boxed to fifteen minutes with the three basic questions below with ancillary items taken offline by the interested parties. Are there any blockers or impediments preventing you from doing your work? Adapt daily plan and Sprint Backlog. Improves team participation and collaboration. 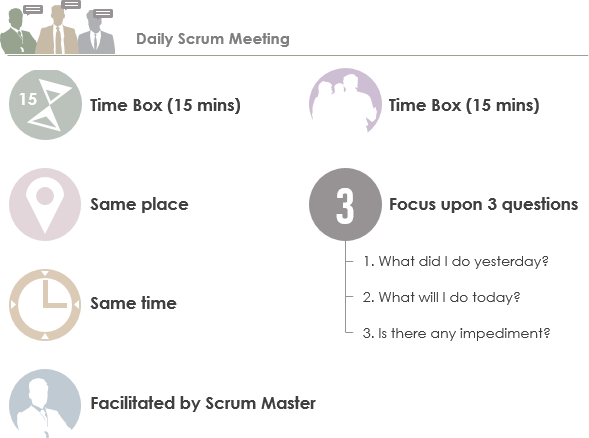 What is a Daily Scrum? This is simplistic and easy to follow but it’s not really the team speaking with one voice. It can also quickly degrade into a status session and doesn’t bring real clarity to the progress of the sprint backlog.